What does it take to be a police officer? You need to be healthy, brave, strong, respectful, courageous, and with a good resume. That is right. We see a lot of police officers in movies and how brave, smart, and strong they are. Well, they didn’t really become police officers with those qualities alone, of course not. 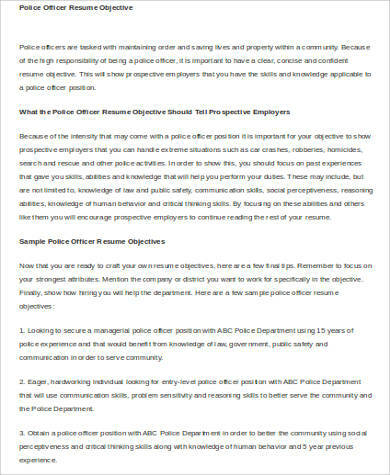 In reality, police officers were also applicants before they became police officers. They just had impressive resumes first before they were able to carry guns. 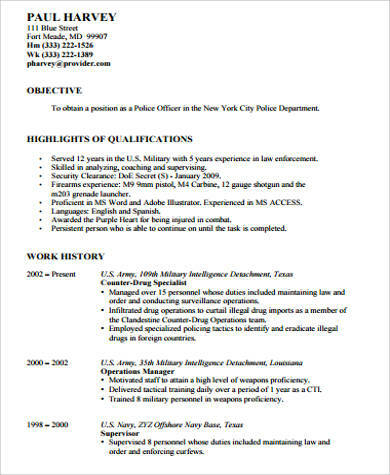 And so to get you started with your dream are our police officer resume samples that will surely help you get that job. The Sample Resumes are shown below. 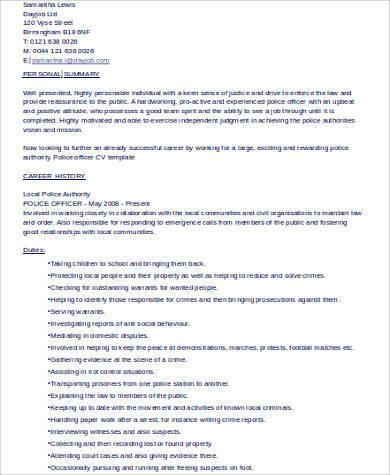 Local Police – They are the officers in local areas. They do patrols, investigate local crimes, and enforce the law. State Police/Highway Patrol – These officers patrol the state highways. They often provide assistance to the local police. 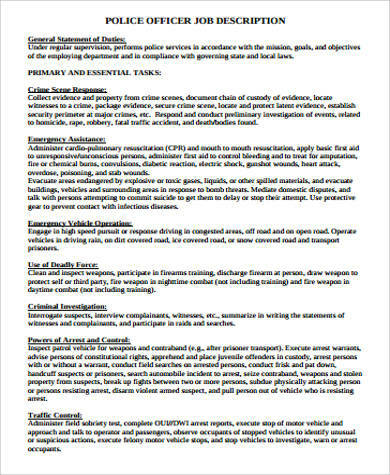 Special Jurisdiction Officers – They offer the same services as local police officers. They usually provide services for defined entities. Sheriff – They serve the people in counties. They run the local jail and serve warrants. Police officers help maintain peace and order in their communities. They arrest criminals and individuals who are suspected of committing crimes. They help find missing people and stolen things. They patrol the streets to make sure that there are no bad people in the area. They help control traffic situations. They appear or testify in court. They do patrols in their areas of responsibility. They protect the people and their properties from harm. 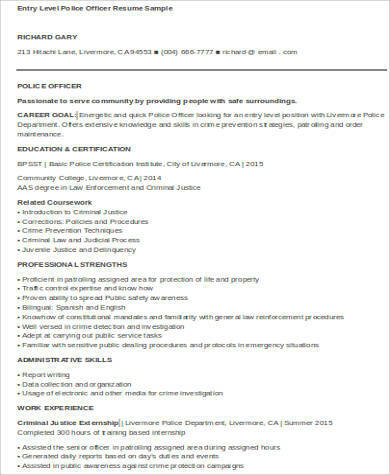 You can also check our Security Officer Job Description Samples. An impressive resume is all you need to be ahead from all the other applicants. That is why it is important that it is written with utmost care. Aside from being impressive and effective, a resume should also be error-free and grammar-free. Normally people would react to mistakes once they spot one. Mistakes are also more remembered than the right things. You don’t want the interviewer or the company manager to remember you because of your sloppy resume, right? To leave a good impression, your resume should be error-free. This is the reason why proofreading your resume is important. 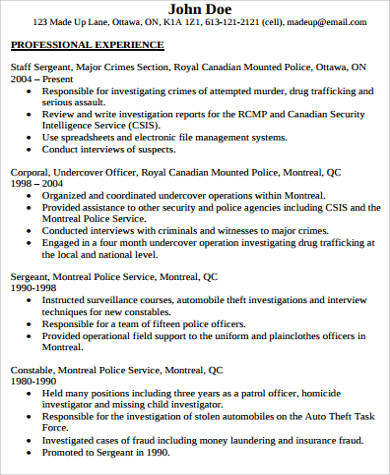 So the next time somebody asks you why you need to proofread a resume, you can tell them what you know. Resumes are indispensable tools that every applicant must take seriously. They can make or break your application. Take some time in writing your resume so that you can make better ones. 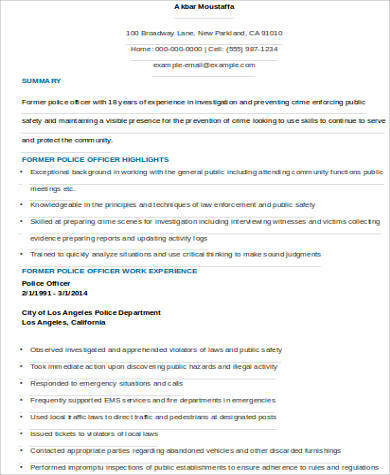 The police officer resume samples that we have will make your resume-writing convenient and easy. We have all the details thought out. 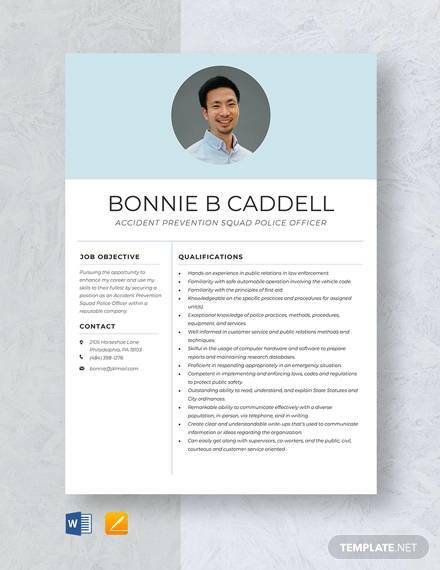 We thought of how applicants can get the job they are aiming for while preparing these Resume Samples. Keep in mind that your success depends on the course of action you take to reach it.